We believe valuable learning happens both inside and outside the classroom. 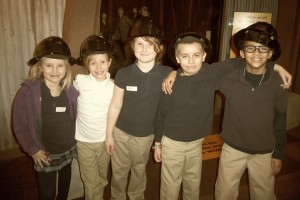 Educational field trips are a required part of our learning and are scheduled throughout the school year to supplement classroom experience and reinforce learning. Trips require parent/guardian permission, and students are usually required to wear a uniform unless otherwise noted. Most trips are chaperoned and parents are encouraged sign up and share these enriching experiences with their student!